Pumpkin is the quintessential vegetable of fall, and many of us forget about how delicious it is around this time of year. However, pumpkins aren’t just festive, and they actually make incredibly healthy and dynamic additions to family meals. The nutrients in pumpkins have shown to help improve vision, induce restful sleep, lower blood pressure, maintain heart health, and help you feel fuller for longer. And their vibrant orange color instantly livens up any dining room table. In this article, we highlight a few of the many ways that you can add pumpkin to your family’s meals at any time of the year. And if you don’t have time to cook, we have some excellent recommendations on how to hire a personal chef to prepare pumpkin dishes for you and your family! Start your day off right by adding pumpkin to pancakes and topping them with exquisite ingredients that will put you in a good mood for the rest of the day. Pure, canned pumpkin can be added to homemade pancake recipes in the morning along with key spices like nutmeg, cinnamon, and cloves. With a fluffy texture and topped with maple syrup, your family will never think about this breakfast staple the same way again. Other breakfast recipes with pumpkin to try include homemade granola bars with pumpkin, pumpkin scones, pumpkin crepes, and pumpkin pie waffles. Pumpkin and pasta may sound like an unlikely pair, but there are some deliciously gourmet ways to sneak this vegetable into hearty pasta dishes. Add pumpkin purée to penne pasta and heavy cream, then add smoked Spanish paprika, freshly ground black pepper, and coarsely chopped parsley to create an unforgettable pasta dish with a smoky pumpkin cream sauce. Toss in strips of your favorite meat, meatballs, or tofu for a bit of protein. There are lots of pumpkin pasta recipes that use pumpkin purée published in highly rated cookbooks; however, some definitely take more time, effort, and culinary skills than others. 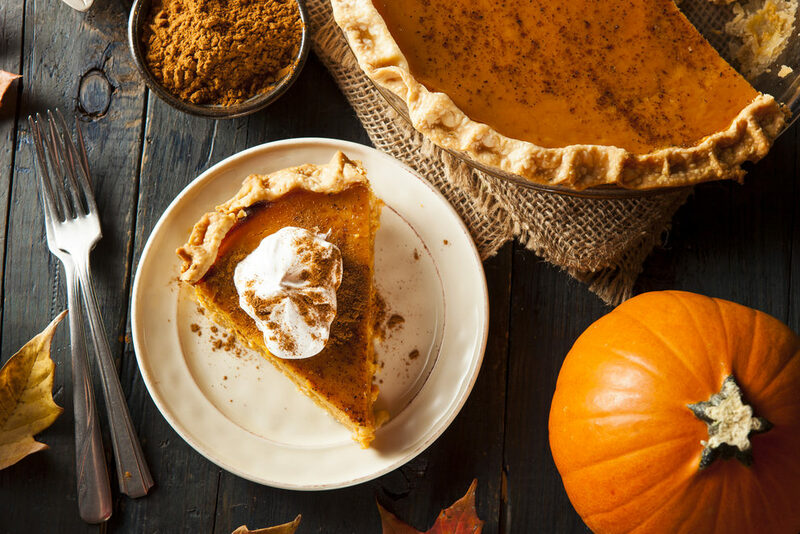 Pumpkin pie is a traditional favorite for the Thanksgiving holiday, but there are many other ways to incorporate pumpkin into dessert. It’s easy to mix into smoothies and shakes for quick and tasty snacks on-the-go. But other dessert ideas are pumpkin and peanut butter s’mores bars, homemade pumpkin fudge, cookie dough and pumpkin ice cream sandwiches, and spiced pumpkin pudding. If these gourmet meal ideas sound too time-consuming or complicated to work into your busy schedule, considering learning about personal chef services that meet your needs. A private chef is a professional who possesses a formal culinary education and typically works in the home. These are some of the personal chef services that you can expect to receive. At Pavillion, one of the most popular services that our clients come to us for is personal chefs. This is an area of expertise for us, and it is our passion to connect amazing chefs with families and individuals who want to improve the taste, health, and quality of their meals. Planning and preparing meals takes a great deal of time and effort that busy families don’t always have to expend. However, meal time is crucial for keeping families connected, healthy, and happy. We can assist you with finding the perfect full-time, part-time, short-term, or summer-only private chef to prepare gourmet pumpkin dishes that your family will love. Please call one of our placement specialists today at 212-889-6609, or you can get started now by filling out our application form.